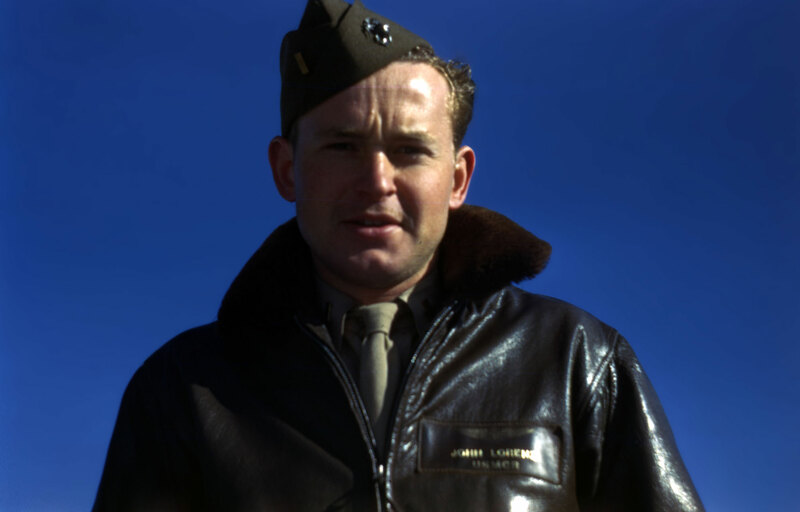 Private WWII color footage is one of the hardest avenues of militaria collecting to break into. 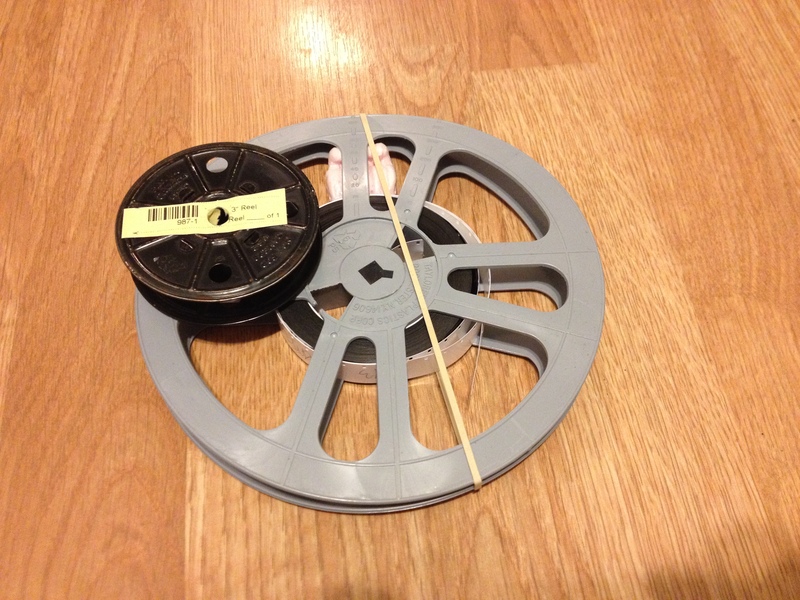 Reels of film are often tossed away after estates sales, never viewed for their content. It’s a rare occasion to find a small piece of WWII history tucked away in a film collection, undigitized and likely unviewed for decades. 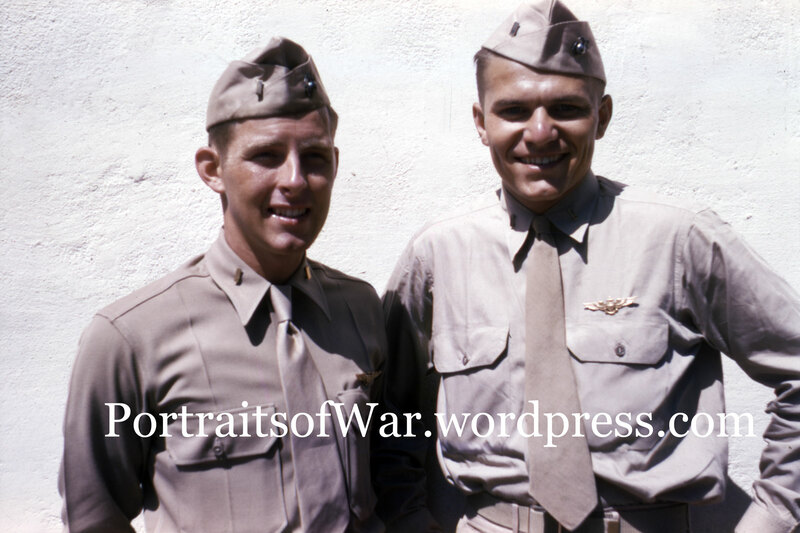 In this case, I was able to acquire a quick 1:28 film shot by a group of buddies on the beaches of a training camp somewhere on the Pacific during WWII. This educated guess is based on the early field gear pictured in the film which includes the shortly-used M1917A helmet. 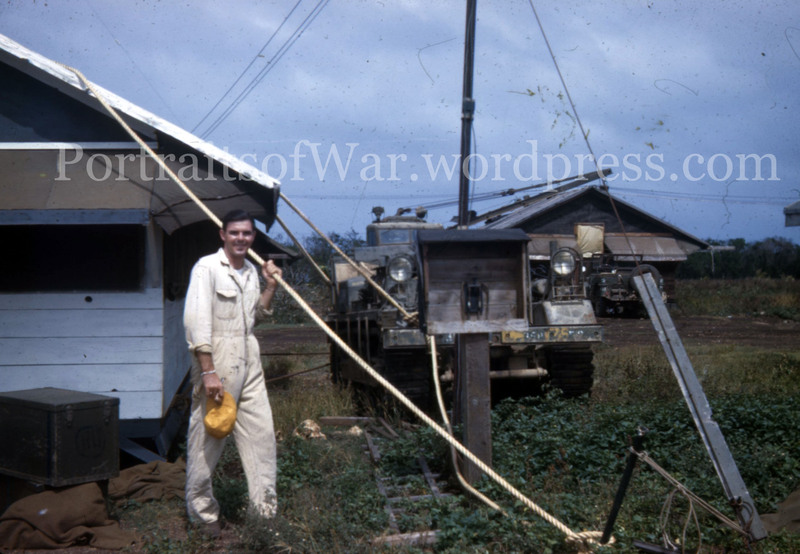 The hand cranked radio generator, the pith helmet as well as the offshore battleships point towards an early film. 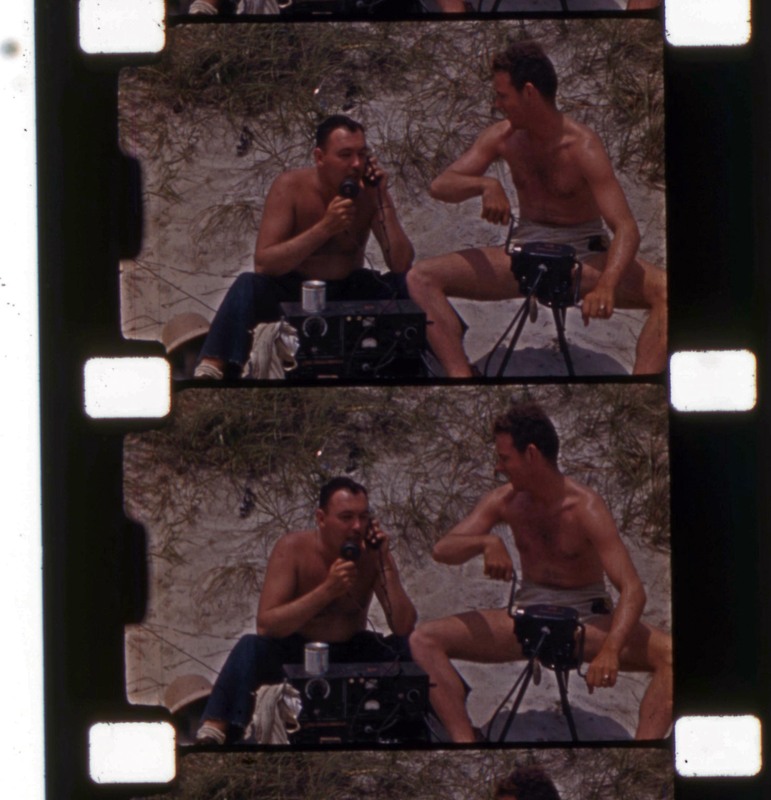 Sadly, the color of the footage wasn’t really picked up during the digitization. Each frame is scannable with my Epson V700, but the color was lost during the professional digitization. Enjoy! The Hawaiian music was added by the digitization company. 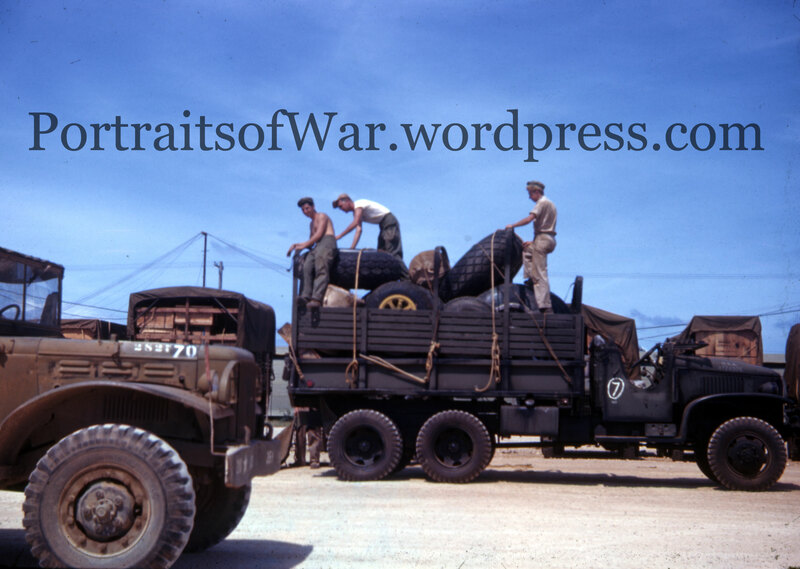 I always try to pick up groupings of WWII color slides whenever possible, but they are incredibly expensive. I don’t want to say what I paid for these slides, but they weren’t cheap! 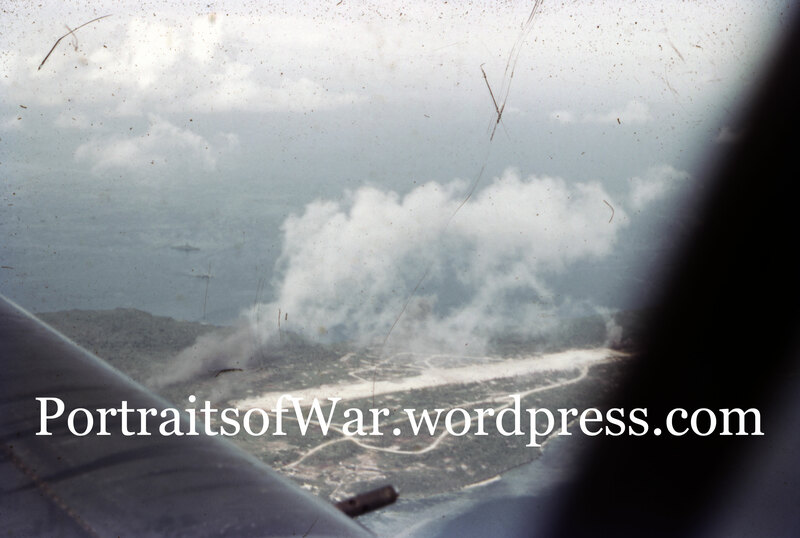 This small selection of slides comes from the WWII 35mm slide collection of a fighter pilot who spent some time on Saipan and shot some incredible images of the things he witnessed while on the island. 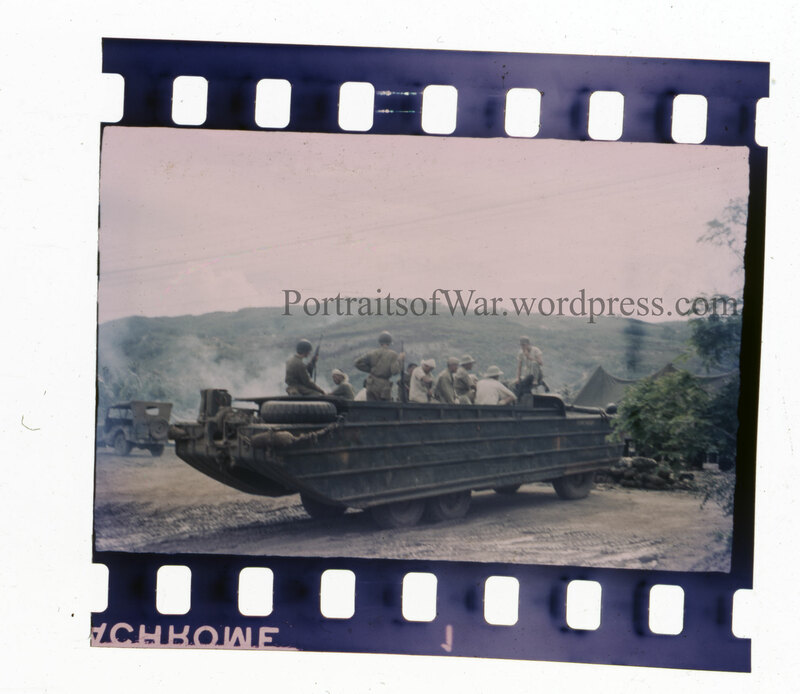 In this set we wee a DUKW of the 2nd Marine Division complete with painted duck logo, serial codes, and prisoners/laborers in the back. 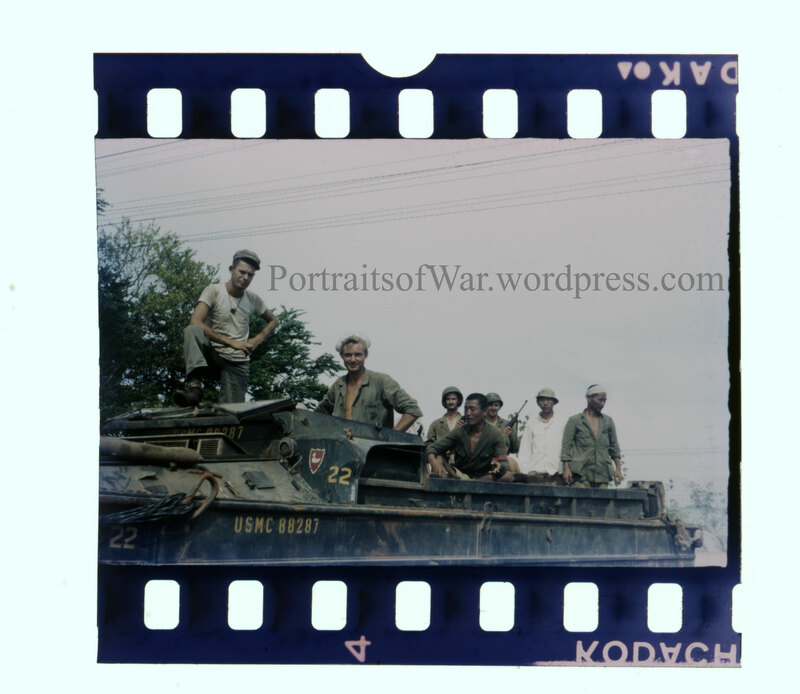 A rare color glimpse into the paint schemes and battle-wear of a wartime DUKW. I would love to find more info on the unit, but don’t know where to start! The Curtis SC Seahawk was a scout aircraft designed by the Curtiss Aeroplane Company for use in the Pacific Theater of Operations in 1944. 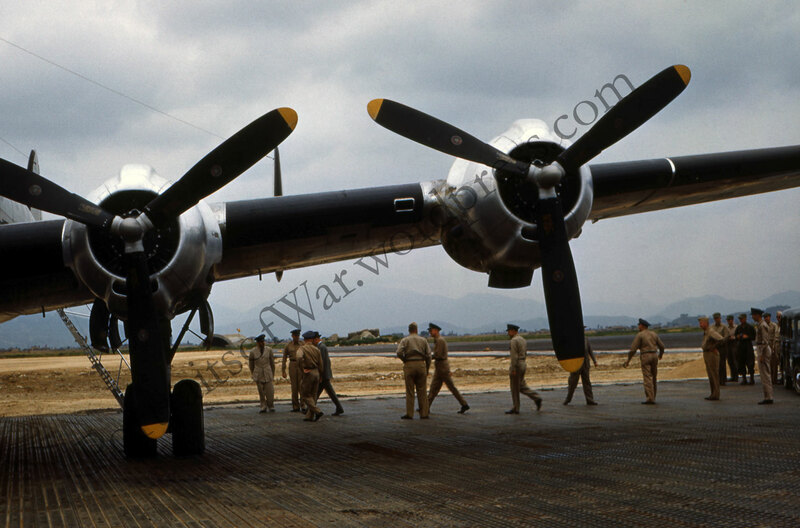 Only 577 were built and these planes are rarely seen in color, especially while stationed overseas. 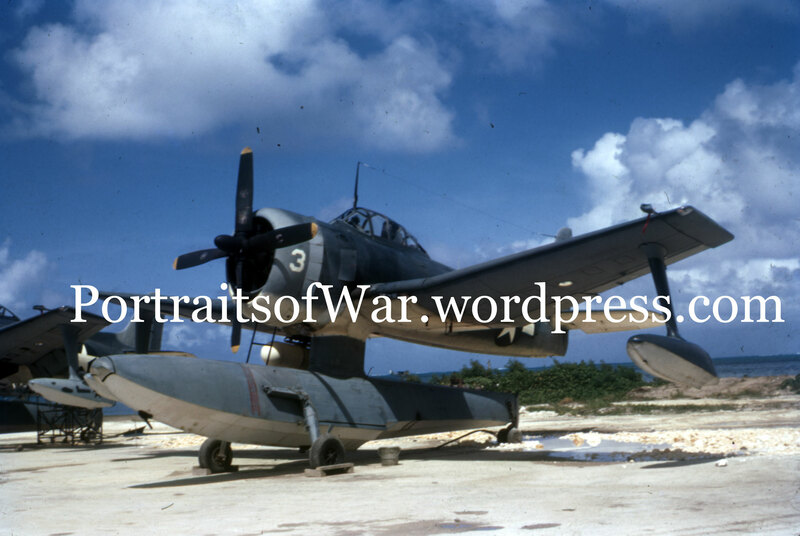 Some experts argue that this was the best US float plane used during WWII. 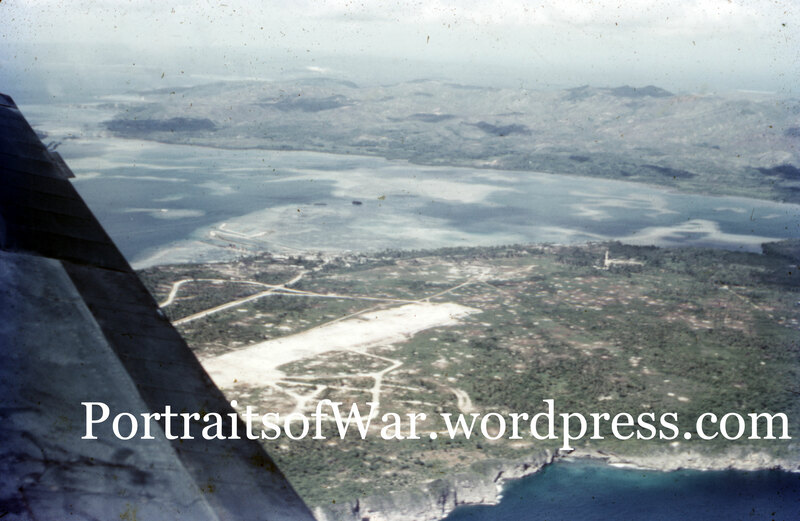 This photo was snapped by a Navy fighter pilot in 1945 on Guam. The original color slide is now in my collection. A rare addition! The Curtiss SC-1 Seahawk was designed to meet the need for a reconnaissance seaplane that could be launched from US Navy battleships and cruisers. Designed as a single-seat aircraft the SC-1 could theoretically hold its’ own against enemy fighters. The SC-1 was the last of the scout observation types and was the most highly developed with vastly improved performance over earlier types. Power, range and armament had doubled its usefulness. It was highly maneuverable, had two forward firing .50 cal. guns, large flaps and automatic leading edge slats for improved slow speed characteristics, and radar carried on the underside of the starboard wing proved highly successful during search missions. Space needed aboard ship was minimized by folding the wings back manually, making the overall width equal to the span of the horizontal tail surfaces. Built in Columbus, Ohio, the SC-1 was initially fitted out with a fixed wheel undercarriage, then was ferried to Naval bases, where floats were attached. The SC-1 was liked by some pilots and disliked by others, but generally well accepted. It could out climb an F6F “Hellcat” to 6,000 ft. and out-turn the F8F “Bearcat”. 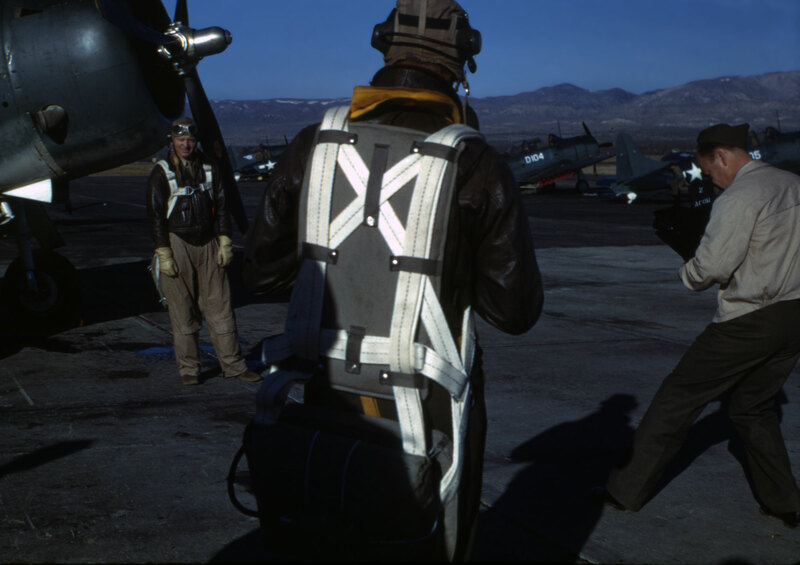 During the height of their career, crews aboard ship looked with pleasure at the “Seahawks” aft on the catapults as their “Quarterdeck Messerschmitts”. The SC-1 first flew in February 1944 and 950 were ordered, later decreased to 566 because of the Victory in the Pacific. It continued in service for a number of years after the war as trainers, eventually being replaced by helicopters. 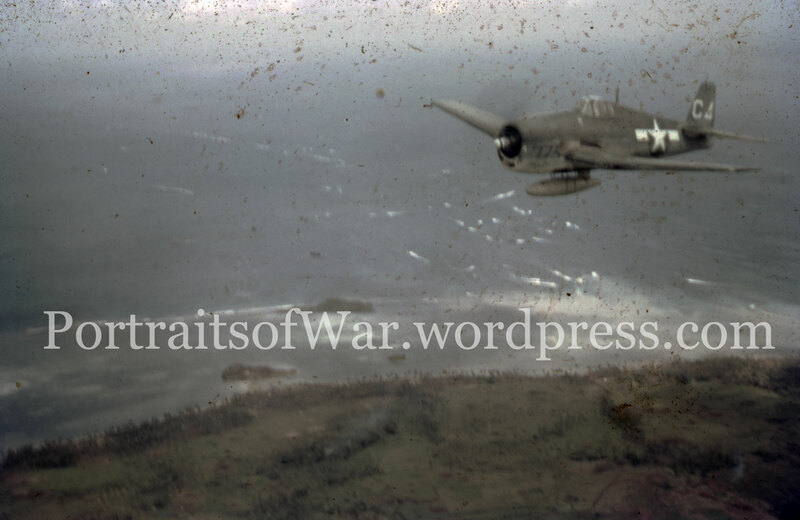 Shot from the cockpit of a F6F-3 Hellcat flown by Edward W. Simpson Jr. of the VF-35, this incredible set of images depicts the opening few hours of the infamous Invasion of Guam. 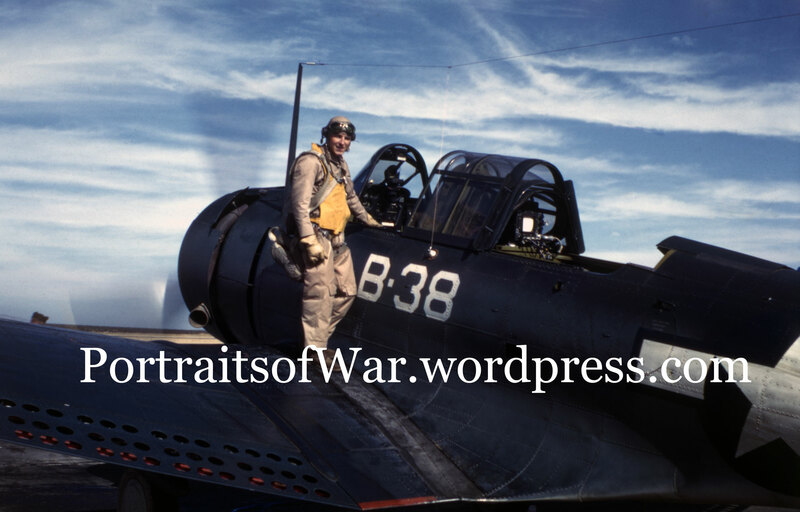 Simpson carried his Kodak 35mm camera loaded with color film during many of the key battles of the Pacific, and PortraitsofWar has been lucky enough to acquire the entire collection. 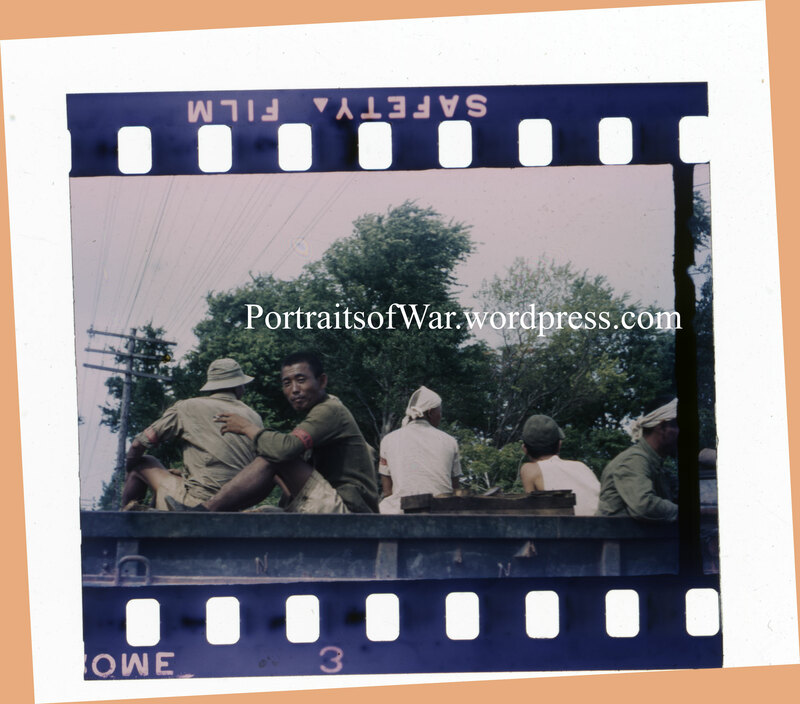 In this installment, I’ve scanned a series of shots taken during the Guam invasion. Many are identified as to location and were verbally described on a cassette tape that accompanied the collection. Located the western shore of Guam on the Orote Peninsula, bordering Apra Harbor to the north and Sumay to the west, and Agat Bay to the south. Orote was known as Guamu Dai Ichi (Guam No. 1) by the Japanese. Built prior to the war, by the US Marine Corps detachment of 10 officers and 90 enlisted men when they arrived in Guam on March 17, 1921. The Marine unit constructed an air station near the water at Sumay village, including a hangar for their amphibious aircraft. 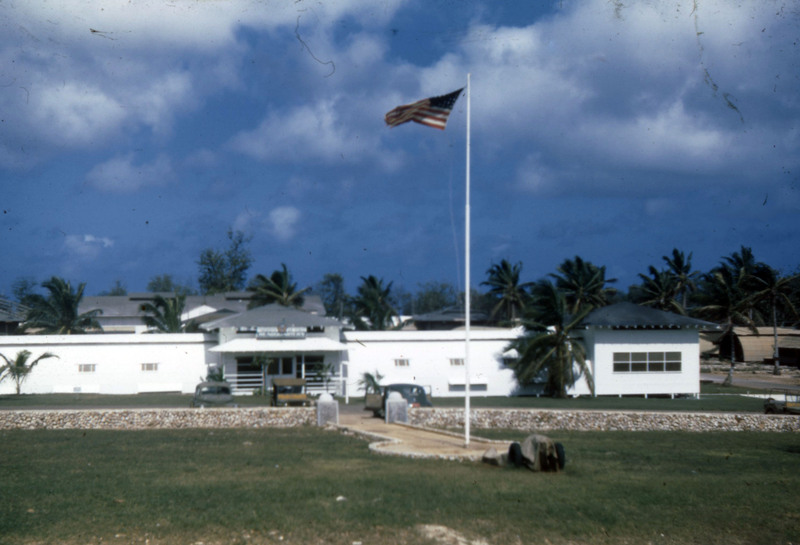 In 1926, a new administration office was constructed which housed the squadron offices, sick bay, dental office, aerological office and guardhouse. 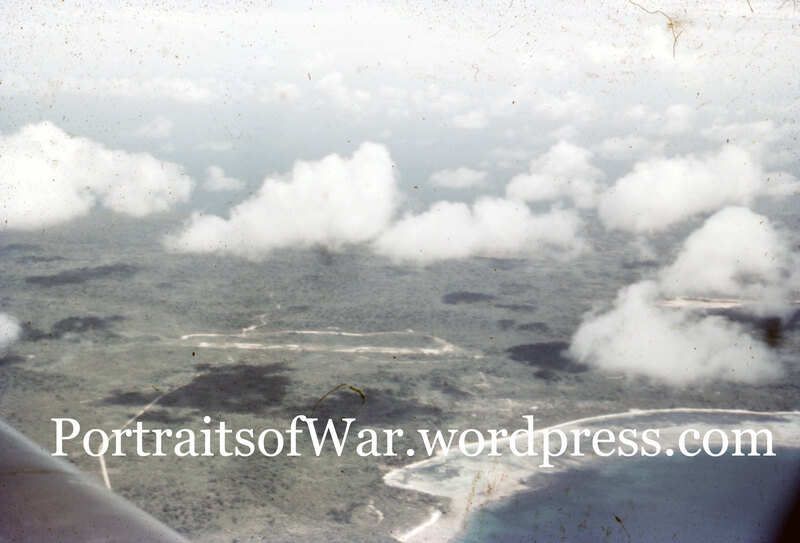 In early 1927, the squadron departed for Olongapo. Only a handful of men remained here until September 23, 1928, when Patrol Squadron 3-M, consisting of 85 enlisted men and 4 to 6 officers, was assigned to Guam. Shortly thereafter, the naval air station was closed on February 24, 1931, as a cost-saving measure. When the Japanese attacked Guam, they did not bomb the abandoned naval air station. When they occupied the area, they constructed Orote Field, using Korean and Guamian labor, and used the base until the liberation of Guam. Used by the Japanese navy from April 1944 to June 1944. As of June 1, 1944, Japanese air strength on Guam consisted of 100 Zeros and 10 J1N1 Irvings at Airfield #1 and 60 Ginga at Airfield #2. On February 23, 1944, American carrier based airplanes attacked the field, and other American raids soon followed. During the Battle of the Philippine Sea the field was used by the Japanese carrier-based airplanes to refuel and rearm. The Japanese airplanes based at Orote Field were also used to attack the American fleet. American raids on June 19, 1944 destroyed the landing fields, the aircraft on the ground and such aircraft that managed to take off. American pilots reported extremely intense antiaircraft fire around Orote Field. Fifteen Japanese airplanes crashed at Orote Field on June 19, 1944. 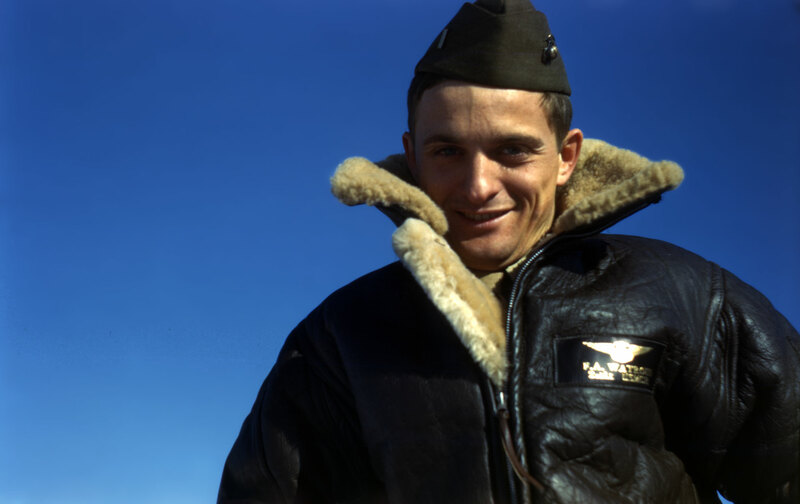 On June 20, 1944, numerous actions occurred in the immediate vicinity of Orote Field between American carrier airplanes and Japanese aircraft seeking refuge at Orote Field after flying from their carriers, or Japanese refueling and rearming to attack American carriers. 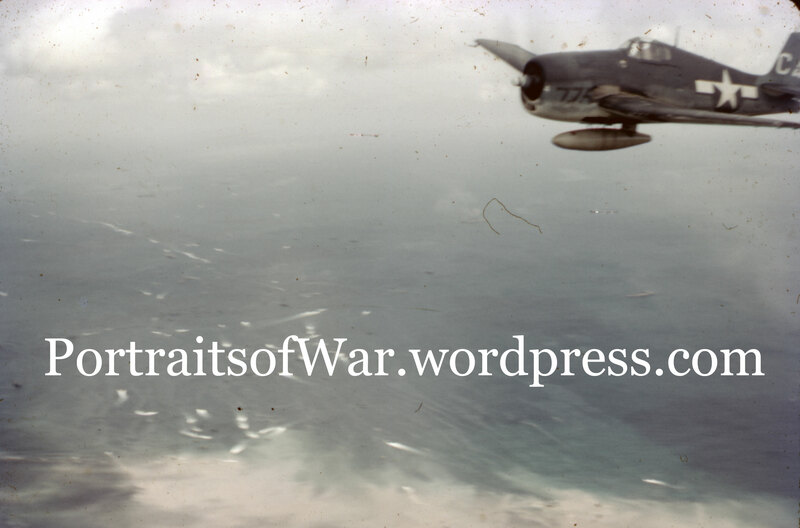 Numerous dogfights took place in the air above Orote Field and numerous strikes by American airplanes destroyed Japanese facilities and airplanes on the ground. This denied the Japanese extensive use of this crucial airfield during the battle. The Japanese assigned the defense of Orote Peninsula to the 54th Independent Guard Unit under command of Air Group Commander Asaichi Tamai. 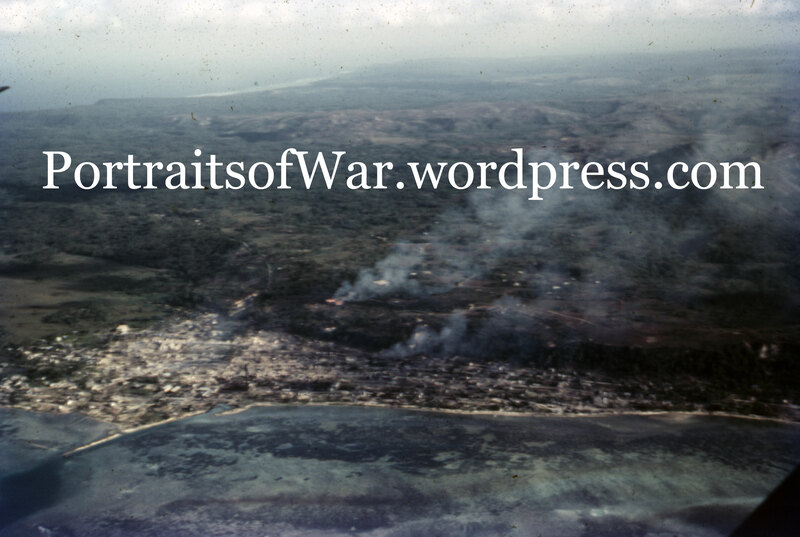 After American invasion on July 21, 1944, the 1st Provincial Marine Brigade under command of Lt. General Lemuel C. Shepherd fought its way through the Agat village to the base of Orote Peninsula. 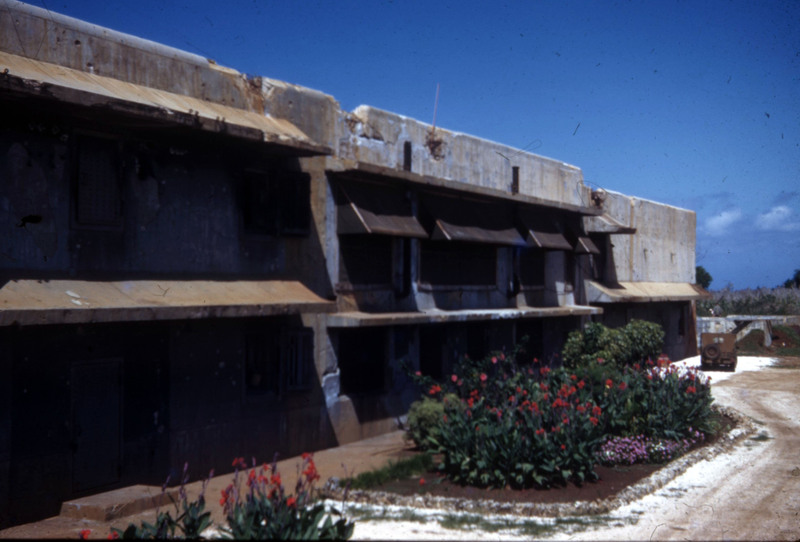 Here the Japanese had constructed an elaborate interlocking system of pillboxes, strong points and trenches. Regiments of the 1st Provisional Marine Brigade, the 4th and 22nd, fought their way through the area. Shortly before midnight on July 26, 1944, the Japanese trapped on the peninsula staged a suicide attack and were completely wiped out. The advancing Marines still met heavy Japanese resistance in the vicinity of the airfield, where the Japanese fought from caves and coconut bunkers. The peninsula was declared secure on July 29, 1944. 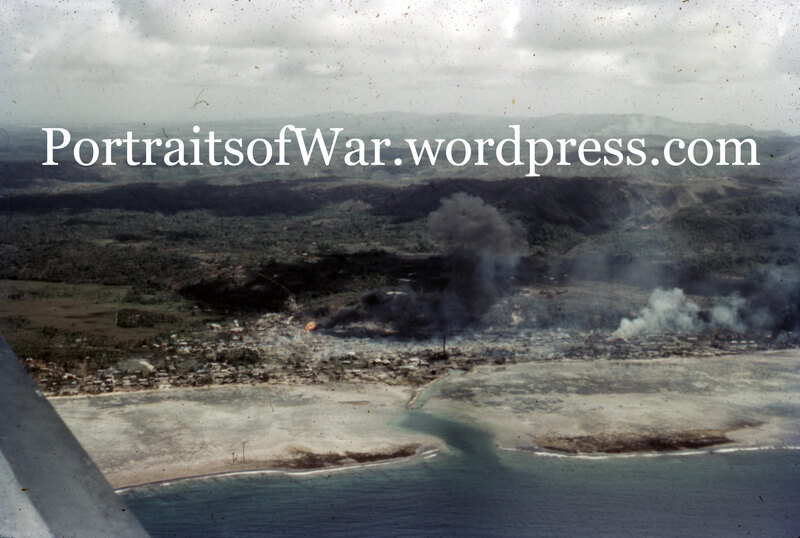 It is estimated that the Japanese lost more than 3,000 men defending Orote Peninsula. Several Japanese aircraft wrecks were captured at the airfield, including G4M2 Betty 2095 , G4M2 Betty 12013 and J1N1 Irving. Immediately put into use by Marine air power for close support missions during the liberation of Guam. This was accomplished by Marine Air Group (MAG) 21. 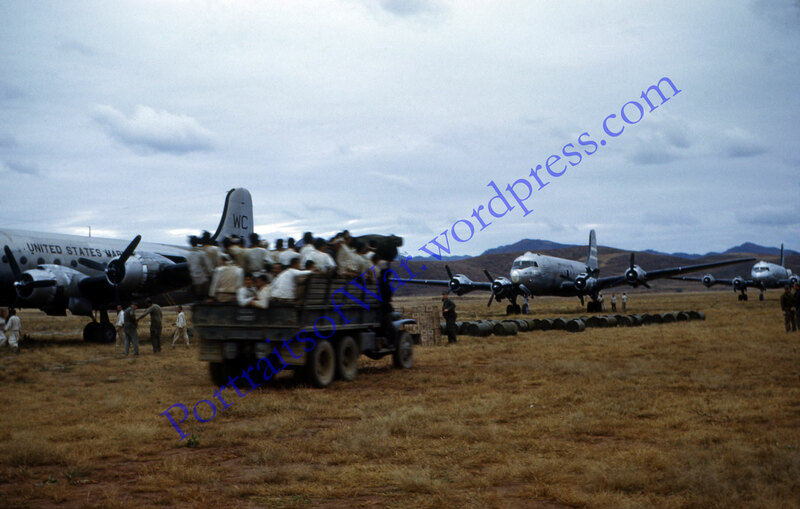 By mid-November 1944, MAG-21, now commanded by Colonel Edward B. Carney, was an oversized group, having 12 squadrons based at Orote Field, 529 officers, 3,778 enlisted men and 204 aircraft. 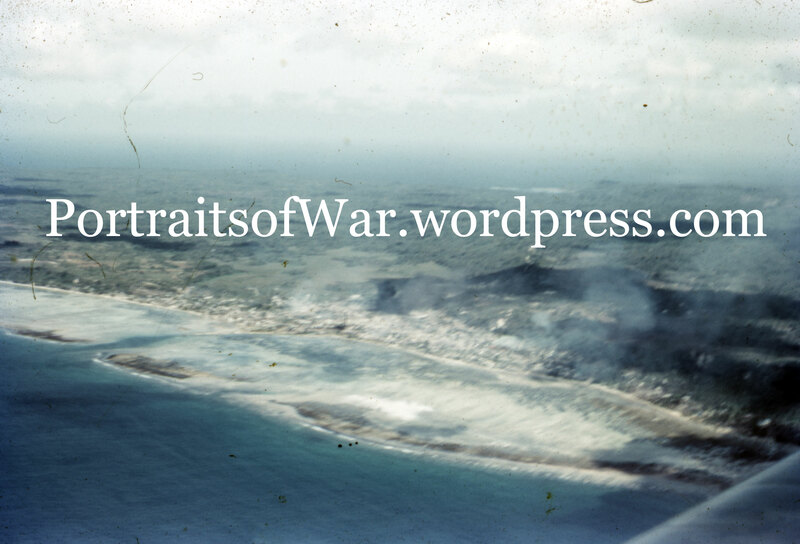 MAG-21 was shifted to Agana Airfield in 1945, as Orote Field had always been hampered by adverse crosswinds. The field was then used by the US Navy for repairing damaged aircraft. Orote Field was finally closed to all but emergency landings in 1946. Today, the cross-runway is used for C-130 touch-and-go flight training, and for helio-ops by Navy Seals. Much of the time the airfield is off-limits. The major runway runs from NW to SE and the secondary runway crosses the first and runs in a NE to SW direction. Limited tours of the airfield are available. Thanks to Jennings Bunn and Jim Long for additional information. 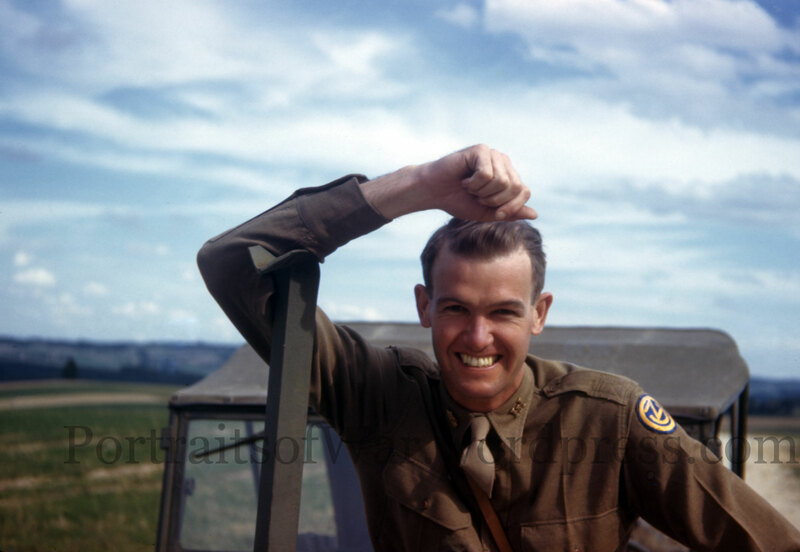 The vibrant colors of 1945 pop to life in the period color Kodachrome film 35mm slide. 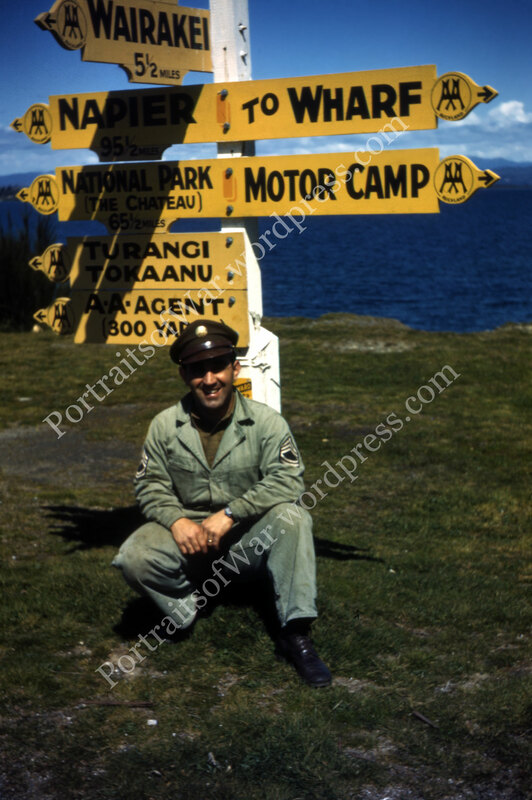 The sitter is posed next to a signpost in Turangi, New Zealand. Lake Taupo can be seen in the background in a vibrant blue. This area is known for it’s world-class trout fishing. 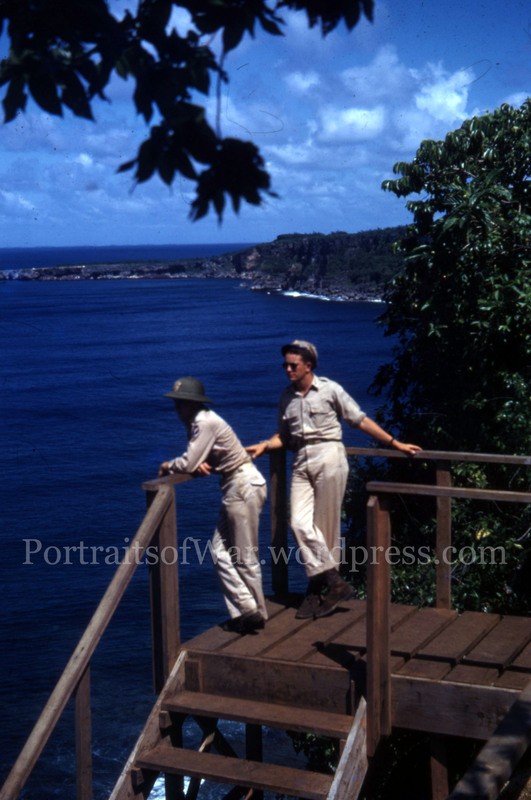 I was able to pick up an additional 40+ color slides taken on Guam, Tinian, and Siapan during WWII. Pacific Theater color shots are hard to come by due to the high temperatures and scarcity of color film in the far reaching islands of the Pacific. By my estimation, PTO color slides are outnumbered 2:1 by ETO shots. Here’s a stunning example of a heavy truck carrying wheels and tires. Enjoy! 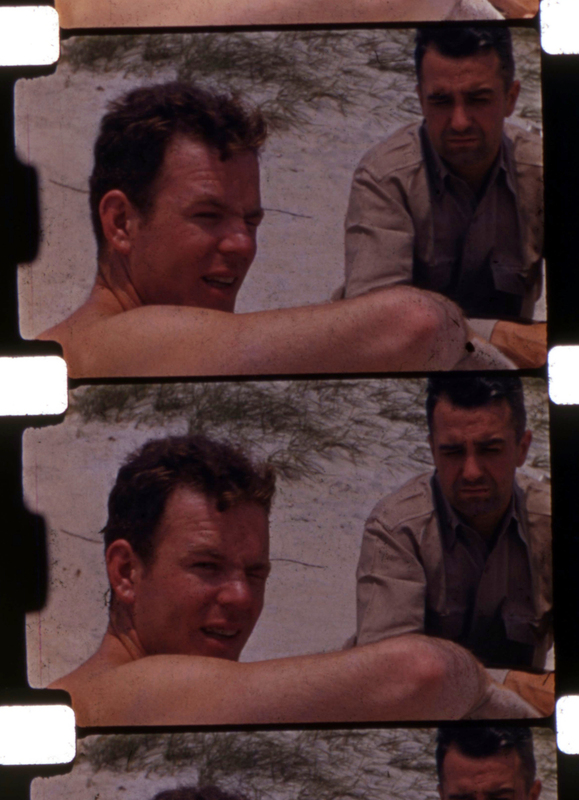 Although the focus is a bit off, I’m still pleased with the color range of the four color slides from Guam that I recently acquired through a trade with a friend. Nothing spectacular, but I thought others may enjoy seeing the “colors of war”. The color of WWII is something lost on our generation; WWII has been a war fought in black and white for everyone but actual WWII veterans who witnessed it firsthand. One of my goals here at PortraitsofWar is to collect color slides from WWII and make them accessible to those who don’t know it exists. 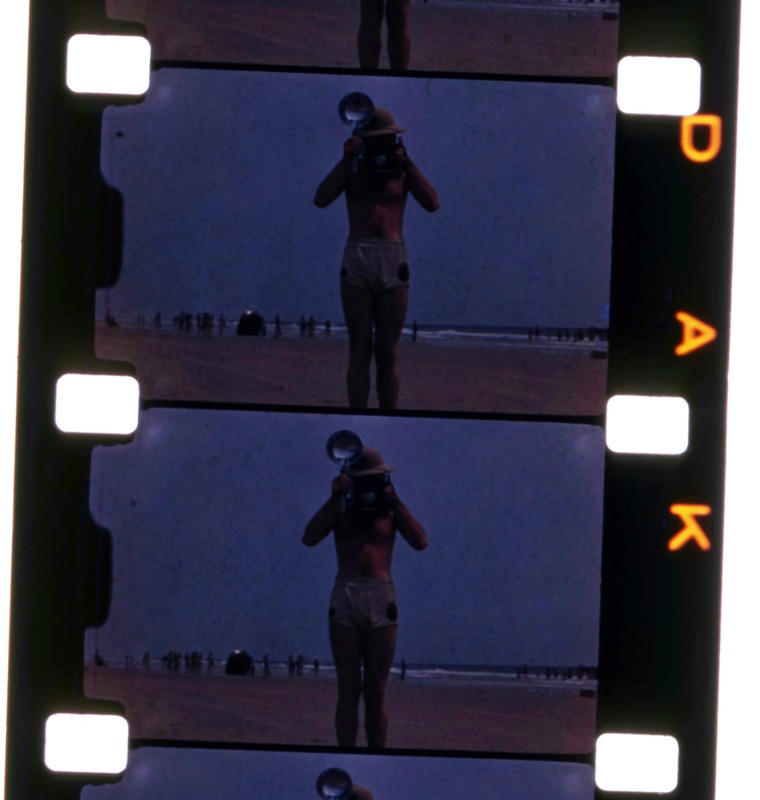 Yes, color film was shot in 35mm(and sometimes larger format) and was used on a somewhat regular basis by shutterbug soldiers during WWII. My collection is roughly 500:1, black and white : color. 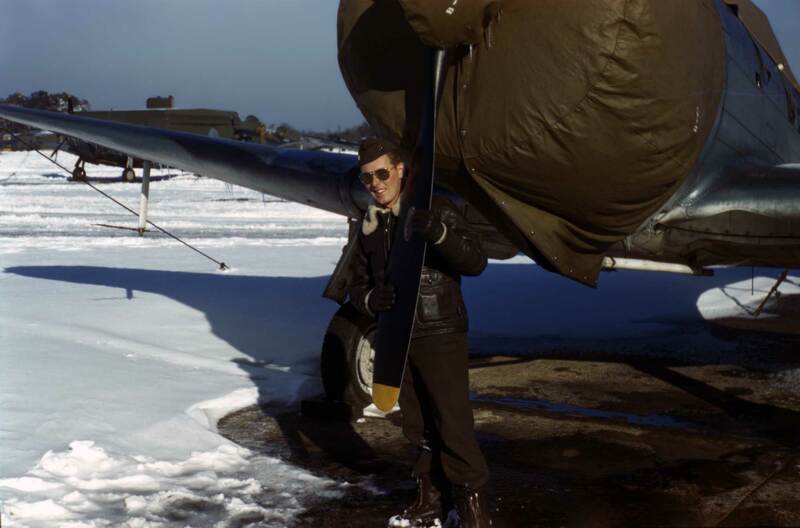 To find a complete collection of color slides is like hitting the WWII photography jackpot. 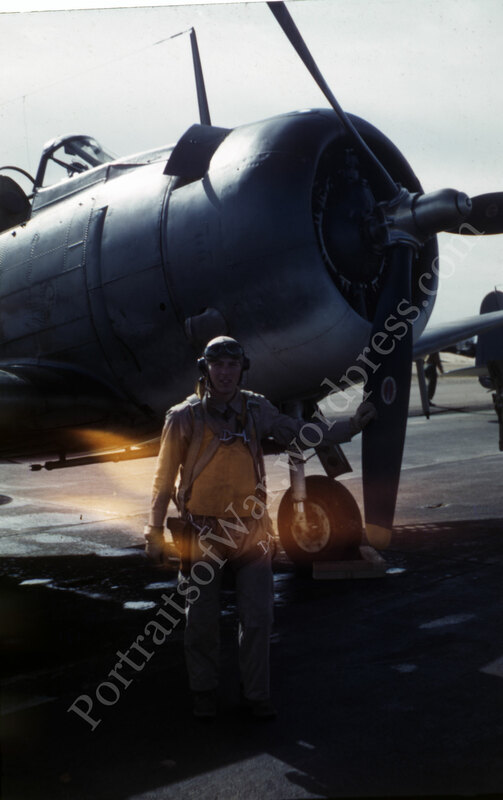 In this case, I was able to pick up a small selection of color slides from a Marine dive bomber. Although I was only able to snag 7 from a grouping of nearly 200, I am still happy to pass along the images to interested parties. From the collection of Walter Huff. Please enjoy the colors of WWII as they were meant to be seen!